I’m a paper freak. I scrapbook. I collect planners. I have notepads in every drawer. And I enjoy sending out snail mail. While I appreciate the convenience of technology, there is something about getting a personal note in the mail which gives me a sense that someone took the time to sit down and write a personal note. Of course, it's easy to extend an invitation over e-mail, but it is particularly nice to send one and even nicer to receive a fine-looking invitation. When the card is beautifully made, there's also the potential for the invitation to forever remain a keepsake. I'm excited to annouce that I have partnered with Basic Invite to share their new line of baby shower invitations. 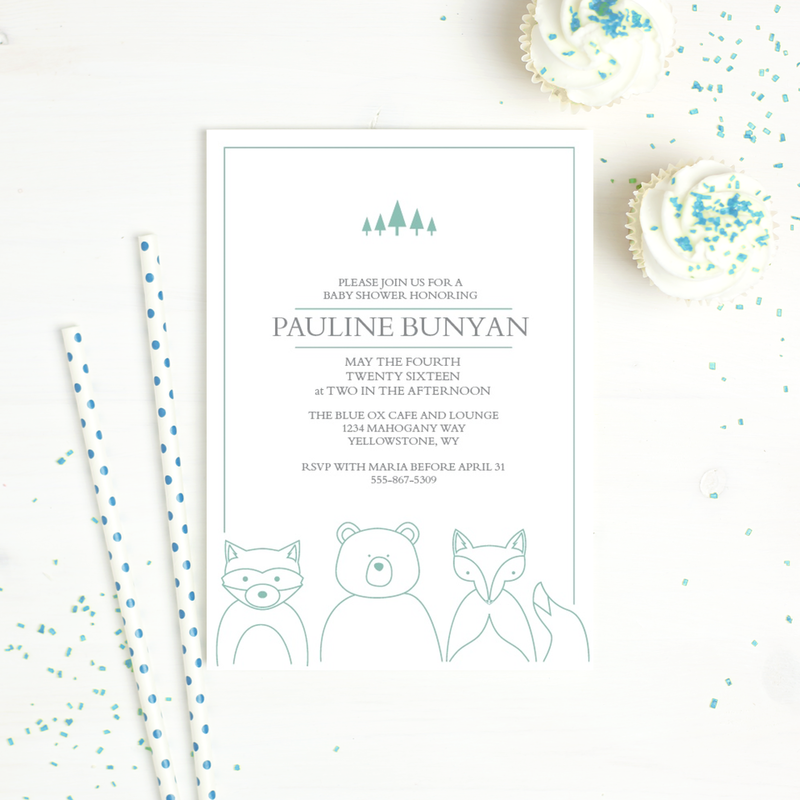 Basic Invite is a company that creates quality customisable invitations that are perfect to celebrate most of life’s major milestones. Everly's 1st birthday is less than a week away so I was also able to order a sample from Basic Invite, along with a Baby Shower Invite & a Birth Annoucement. Because our family is a party in itself, the majority of our gatherings tend to be intimate. I invite a handful of families to celebrate birthdays and special occasions; but that has never stopped me from mailing out an invitation for a birthday party! For both the Baby Shower & Everly's Birth Announcement, I chose the Floral Delight Foil Design. You have the option to choose between Signature Matte or Semi-Gloss paper which is perfect for producing vibrant, rich colors. It's also FSC certified and made with 50% recycled content. This floral design also comes with a flat foil with an irresistible metallic shine, with a smooth flat finish. Amazingly durable, the foil won't flake, chip, or scratch. It is a relief to have the ability to select the font AND color of my choice. I’m also a sucker for foil invitations, especially since Basic Invite offers rose gold foil along with gold and silver foil. They also allow customers to order custom samples, which is great to get an idea of exactly what the card will look like in print. Basic Invite also provides an option for you to have your samples previewed by a member of their team prior to shipment to ensure accuracy. 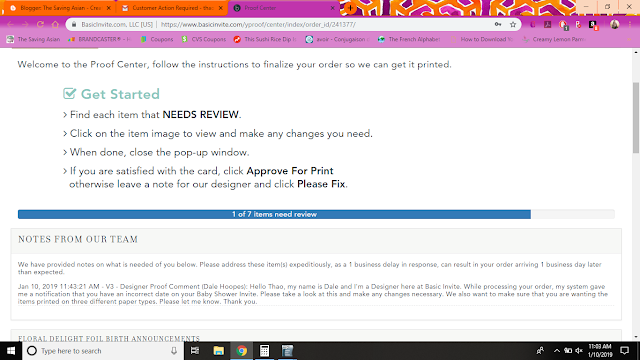 They will send an e-mail alerting you to any changes they feel might be necesary to help improve the overall aethetic of the product prior to mass printing. This not only saves money for us customers who might have made a minor error, but also saves precious time! Customers can also choose from over 40 different colors when it comes to their envelopes so that they can make their invitation stand out even before it is opened. All envelopes are peel and seal so the envelopes can be quickly and securely closed. For Everly's 1st Birthday, I chose the Donut Miss Children's Birthday. It is decorated with a tasteful sprinkling of cute donuts and fun typefaces on an aqua background. Customizable with any colors or fonts you'd like, this card will be treat everyone will notice! Running late on sending out some invitations in the mail? If you're currently expecting or planning a party for a loved one, get ready for a promo code!!! Basic Invite is offering 15% off your purchase with code 15FF51! 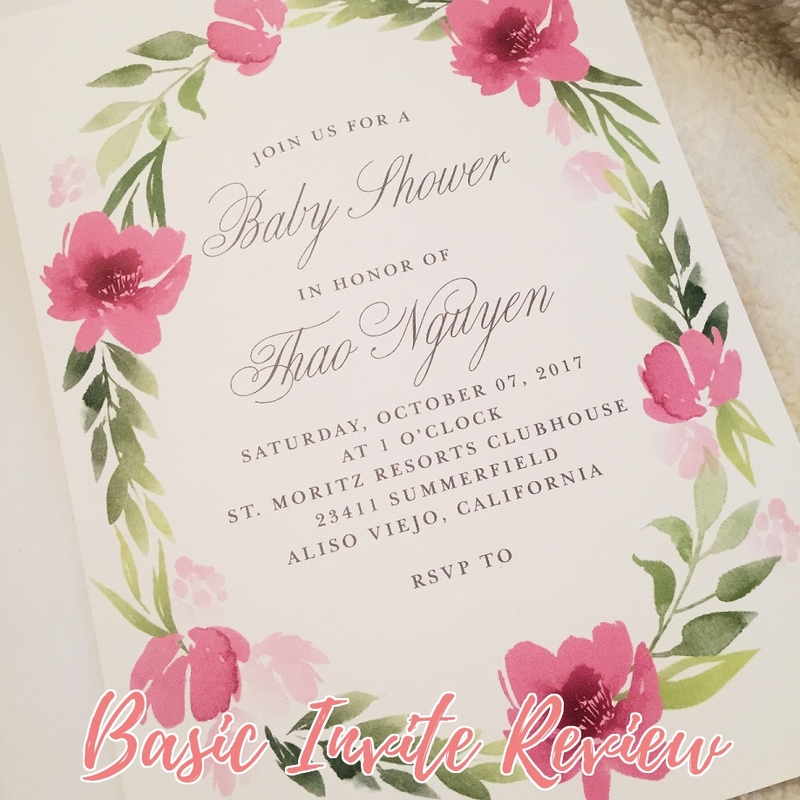 They offer adorable baby shower invitations, baby shower reveal invitations, and (my favorite) Bumble Bee Baby Shower invitations! 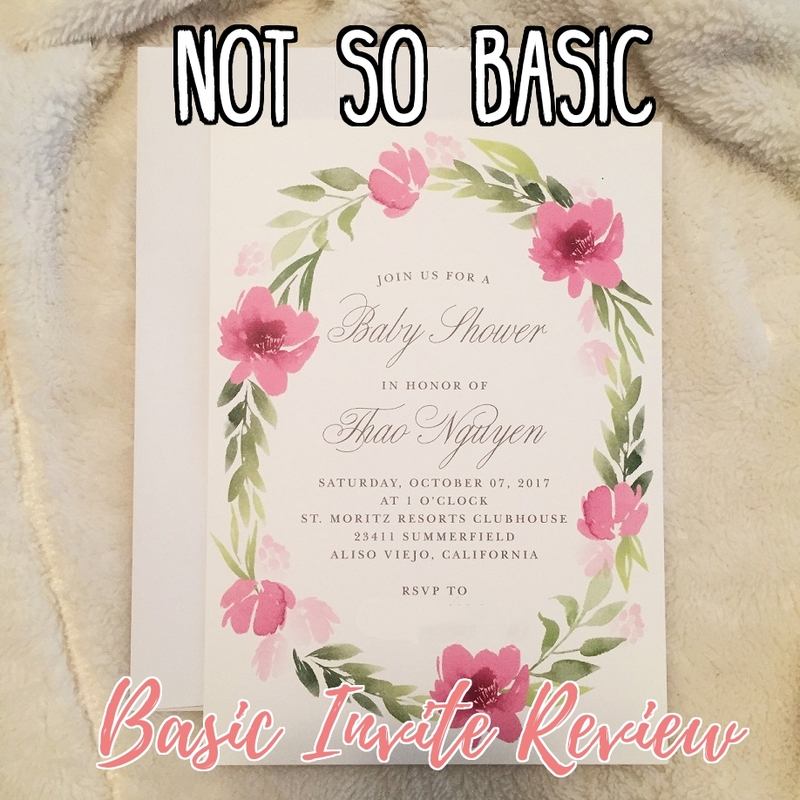 Basic Invite provides beautiful invitations, remarkable service, and they made everything so easy! I really don’t know what words to use for the invitations except beautiful and perfect, and even then that doesn’t do them justice! With the internet and social media, you can post a picture to announce your little one’s appearance, but there is nothing that beats a traditional birth announcement. As a disclaimer, I was sponsored through compensation to write this. The words and personal experience with the brand is all my own.